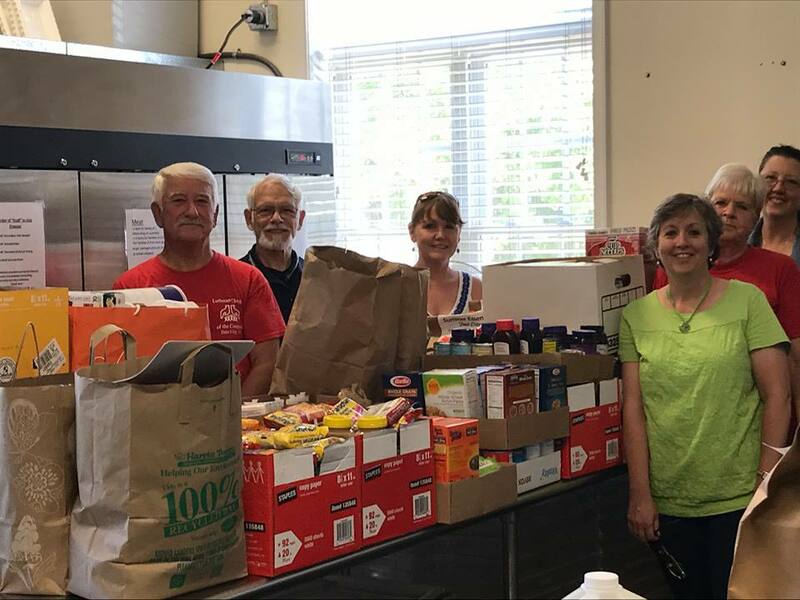 In the fall of 2016, former food pantry volunteer Melissa Napora (pictured above to the far right corner) became ACTS' Food Pantry Manager just weeks before Operation Turkey began. This annual event is ACTS' largest food give-away, and the idea is to provide families with holiday meals who would otherwise be unable to afford it. Needless to say, it was a very busy time for her, but thanks in part to her leadership, the food pantry was able to provide meals for 818 families. Since that time, Melissa has made the position her own with her dedication and warmth towards both clients and the volunteers that serve at the pantry. I recently sat down with Melissa to discuss why she decided to take on such an important role at ACTS, as well as what the future holds for her program. 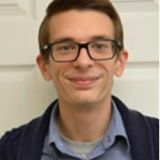 Ethan: You were a volunteer, why did you decide to work as ACTS’ food pantry manager full-time? What was the draw? Melissa: A previous Emergency Assistance Supervisor had asked me if I was interested in it. At the time, I said I wasn’t ready because I thought I was too old and didn’t have enough energy, (it takes a lot of energy to run that pantry.) I thought about it for a while and realized there was a definite need and I had the passion to do it. The door opened and I walked through it. My heart convinced me to do it. E: A lot of our staff have personal experiences dealing with the crises ACTS tries to alleviate. Did your inclination to work at the pantry come from your upbringing? M: When I was little our family lived off little, but we lived off “family.” My parents stressed “family.” We might have pancakes for dinner, you know. It was simple but it wasn’t a lot. We were appreciative of what we had. E: What do you think about the clients you see? M: I think of the humility it takes to come in. To say they have a need. Who am I to treat them any different than anybody else? There is a compassion; there is a respect. You have to get past that judgement. I remember there was a young mother walking in with her daughter. It was a Wednesday, we weren’t open and she came in. We talked a little bit. She was so grateful we were there, that we cared and then she came back the next day to receive food. When they walked out the door, tears were in their eyes. We receive flowers sometimes from grocery stores. She was sitting in the chair and I gave them to her. She was in tears because it was her birthday. I didn’t know it was her birthday. She received those flowers that she would never have received. We’re a conduit of grace, whether it’s donations from the churches or the stores. Their hearts are moved to bring in one donation or pounds and pounds of food. M: No, I don’t take the clients home at night; I take home all that needs to be done. I can’t take the clients home at night. The clients are in the care of another. It’s all of us working together to make that happen. We are a team. It’s not just one person. That’s how I can go home at night. What I do care about is that everything is running properly and we’re serving people like we want to be treated. And what needs to be improved on and how we can reach out to others. We just started taking some of our produce from the farmer’s market on Monday afternoons and dropping it off at a senior home. Last Monday, there were six or seven participants waiting for their little carts, waiting for this produce, and [they] were so excited to get these fresh fruits and vegetables and distribute them among themselves. They were so excited. They don’t have family or transportation in the area. How can we reach out more? Those are the things I take home at night. E: What are your plans for the pantry this year? M: I’d like to see the Hunger Prevention Center up and running. I’d like to expand the home delivery service. And that’s after Operation Turkey. We just need to make sure we follow the time line for it and everything’s coordinated. That we start gathering all the delicious items that go into our food bags and the gift cards so that it can be accomplished. We served 818 families last year. This year, we’re going for a thousand families served and we’re going to do 1,200 next year. E: What’s your favorite part of working at the food pantry? M: Our volunteers. They just work together. It could be a new volunteer or a seasoned one. All are welcome; it’s just like a family. We work together because there’s a greater cause than ourselves and that’s the amazing part of it. We just make them feel welcome. We’re not there to judge. We’re working towards something and everybody’s equal and respected. We have admirals and colonels that work with us, retired teachers; people from all walks of life. It’s a respectful, motley crew of folks. I love the volunteers. I love knowing that we’re doing what we’re called to do and that is to assist someone who is in need. I don’t wake up in the morning thinking, “Oh, I have to go to work.” I think, "What needs to be done first?" It’s a good feeling, no matter how overwhelming it can be because it can be. It all works itself out really. Yesterday, I was thinking, "There’s only going to be 3 of us working." That morning, 3 new volunteers just started out of the blue; there’s that provision. Donations work the same. Whether its rice or any type of food that we’ve run out of. We’re always provided for. To learn more how you can support our food pantry, please click here to volunteer, or here to donate. While we receive an overwhelming amount of support before Thanksgiving and Christmas, donations regularly drop off during the summer time, and this is when our clients need it most. We'd also like to take the opportunity to thank each and every one of our community partners who have donated to us this year. For the month of July, through your generosity, we were able to assist 650 families with their utilities, and this included 1,182 adults and 910 children. The food pantry distributed 52,743 pounds of food and necessary supplies to our neighbors. By contributing to ACTS’ Food Pantry directly, you are ensuring that your donations are serving the local community, at no cost to ACTS, which helps us keep our mission of service alive. Thank you for your past and continued generous support of ACTS, and through us, to those in need within the community.